My son Daniel is at that stage where he can use cutlery but in his own clumsy, messy way. That's okay, it's a stage they all have to go through, but is there a way to give them a helping hand? Check out CleverstiX, they are aimed at refining children's motor skills. That's right, they are chopsticks for kids. They are priced at £9.98 from Amazon and if they help my little one get more food in his mouth then I say they are worth the money. When children are young, half the battle is getting them to concentrate on what they are doing. That applies to meal times too. With CleverstiX, your child has to focus on what they are doing in order to feed themselves. I think kids will love the novelty value of these too, which is a massive plus if it gets them more interested in eating. These have to be held in a certain way when eating and it's not so dissimilar to how you hold a pen, so it's training little hands for that too. Amazon also sell the Hello Kitty*and Kung Fu Panda* versions too. Delivery is FREE if you have Amazon Prime or spend £20 or more. If you don't wish to spend as much as that and you don't have AP, then delivery is £3.30. Although, you are better off buying from Amazon Seller: Fantastic Dyspraxic instead as they are £9.98 including delivery. You can find them listed on the pages via the links provided. 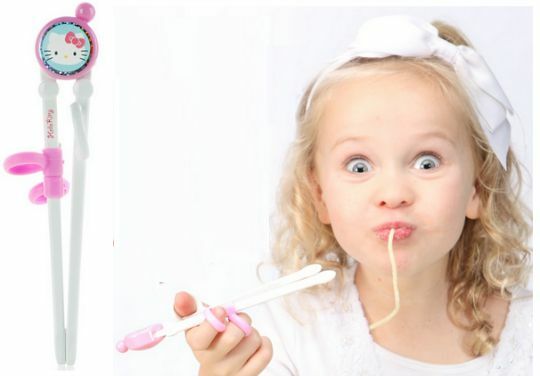 Hi, thanks for using our CleverstiX Child Development Cutlery!